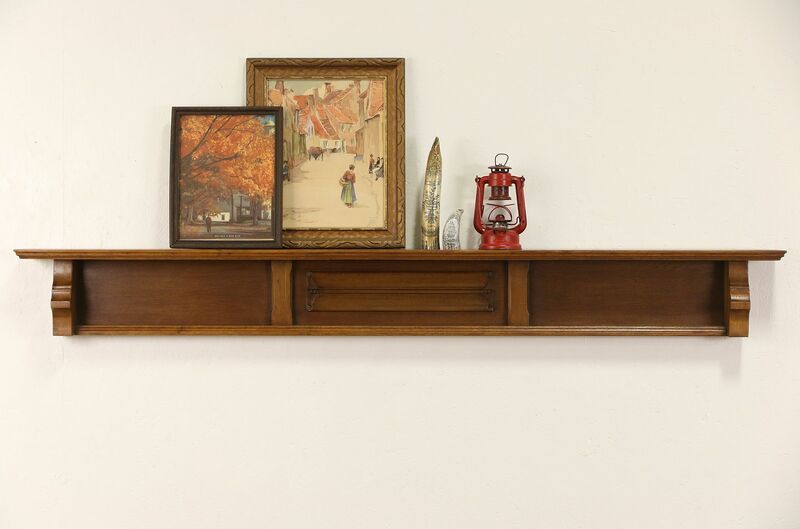 Made in Holland about 1915 of solid oak, this architectural salvage shelf could be a mantel as well. The finish is in excellent condition on this Dutch antique furniture. There is a hand carved traditional "linen fold" motif. Size is 69" wide, 8" tall and 5" deep.